It's the investigation that has teachers from around the state still calling and emailing us months after we first exposed the problem. Florida teachers failing a state test at historic rates. 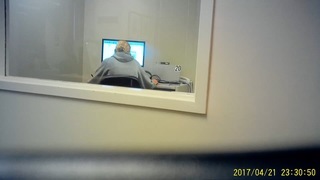 Investigative Reporter Katie LaGrone uncovered new numbers that raise more questions about whether this exam is really recruiting the best teachers or a way to make money off of them. Inside a Pearson test center in Orlando, career seekers are tested on their knowledge from cosmetology to psychology, real estate to law enforcement. It's Pearson that also tests aspiring Florida teachers, who must pass the Florida Teacher Certification Exam (FTCE) if they want to teach in a Florida classroom or move up in their teaching careers by taking the Florida Educational Leadership Exam (FELE). But since these tests were revised in 2015, failure rates are higher than ever before. "I have never felt so defeated and so useless," said Deanna Persaud who took the test multiple times before finally passing it recently. 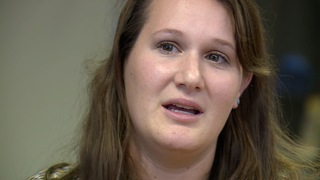 "It makes you feel stupid," said Kaitlyn Frank who is still struggling to pass portions of the test she's now taken and failed five times. The tests even have veteran teachers like 13-year veteran middle school teacher, Maria D'Oleo and 21-year veteran, Julie McCue, frustrated for answers. McCue and D'Oleo haven't been able to pass the FELE tests despite repeated attempts and their own high professional evaluations as teachers in their Florida districts. "I'm embarrassed and ashamed," explained McCue. "I sat for it [FELE] for the 4th time and I got the same results. Missed it by 1 point," McCue explained. She's been struggling to pass the essay portion of the FELE test. Without a passing score, McCue won't be able to earn a higher teacher's salary for the Master's Degree she went back to school for. McCue graduated from her Master's program with a 4.0 GPA. McCue is one of two frustrated examinees now challenging her test scores in court. She will make her case to an administrative judge in June. "The problem is the test, nothing else," said Maria D'Oleo. "The problem is the test, nothing else," said Maria D'Oleo, who along with dozens of others who have contacted us since our first investigation in February, claim the new tests are flawed. Many believe there are issues with test questions not accurately testing skills while others believe there are issues with Pearson graders who score the exam including subjective parts like essay portions. But while questions continue to mount over the exams' validity and fairness, we've uncovered more about its rising costs. 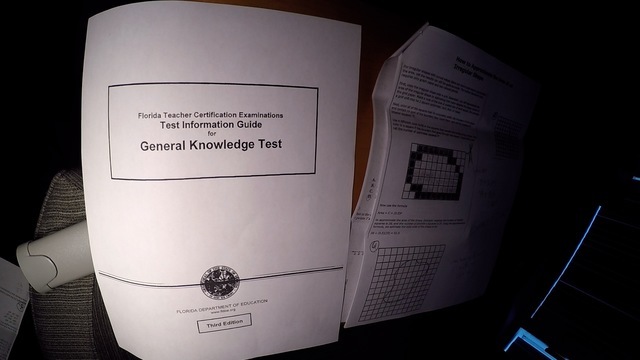 Prior to 2009, the FTCE and FELE tests costs examinees $25 per section to take. Both the FTCE and FELE have various sections depending on teacher specialties. Retakes didn't cost a penny more. 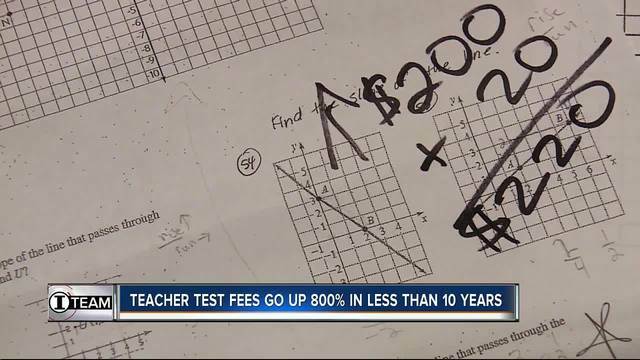 Today, portions of Florida's teacher tests cost up to $200 per section to take and retakes are an additional $20 more. The increase in costs since 2009 represent nearly an 800% increase in less than ten years. We discovered Florida's teacher certification exam is one of the priciest teacher certification tests in the country. "They're just trying to make money off of teachers," said Kaitlyn Frank. test fees pay for every part of administering the exam, from the testing centers to the computer equipment to the salaries of Pearson-hired graders. "This is a real problem for the state of Florida," said Roger Brindley Interim Dean of the College of Education at the University of South Florida. He and Deans across the state have witnessed critical fallout from the unprecedented failure rates resulting from these tests. College of Education programs around the state have seen drops in graduation rates because students can't pass the FTCE test. In addition, many students frustrated with failing the state's teacher certification exam are now opting for new majors so enrollment is significantly down at Colleges/University education programs. Colleges/University Deans are so concerned about the impact the test is having on its students, they are now studying if higher scores on the test equates to more successful teachers. Many Deans point out that there are currently no studies that show success on the FL teacher Certification Exam results in more successful teachers. "The best and brightest of our students choose not to go into teaching because of this test," said Brindley. 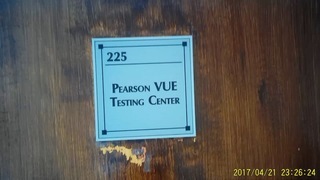 The Pearson testing center in Orlando is one of our locations around the state where frustrated test-takers can challenge their scores. But, like every part of the exam, questioning a score doesn't come cheap. A so-called "score verification session" costs examinees an additional $75 to do and state numbers show it rarely make a difference. Between January 2016 and February 2017, 871 examinees paid Pearson for one of these score verification sessions. But data from the state show the sessions resulted in only 15, or less than 2% of examinees were able to get their scores changed from a failing score to a passing score. After her 5th attempt and 5th failure, Kaitlyn Frank was one of them. "I challenged every question I got wrong because hey maybe something will work and then I got a letter in the mail saying thank you, however, your scores still stand. So basically, thank you for your money," said Frank. Help for Florida teachers failing state test, but will the state’s solution work? 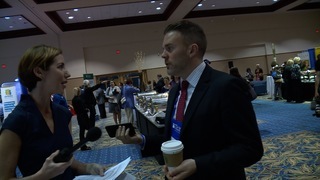 We caught up with Pearson at a recent teacher convention in Tampa, but a spokesperson declined to answer our questions and immediately referred us to the Florida Department of Education. On Tuesday morning, Investigative Reporter Katie LaGrone caught up with Florida's Education Commissioner Pamela Stewart. Stewart stands by the tests. "We have a lot of research that shows the exams are not flawed," she said. 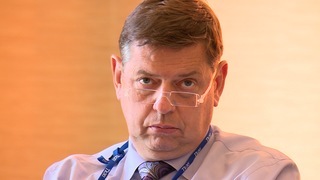 "I think it’s a reflection that we’ve raised standards for students and consequently we need to raise standards for teachers and make sure that they are experts in the content area that they’re teachin," said the Commissioner. Stewart walked away from us when we started asking questions about the tests' costly fees. "I understand big business, I understand making money but we serve young people, we're teachers," said McCue.